Being of Hungarian descent I have a fascination with the folk art and culture of the Magyars. Enjoy the beauty of it with me in these hubs. 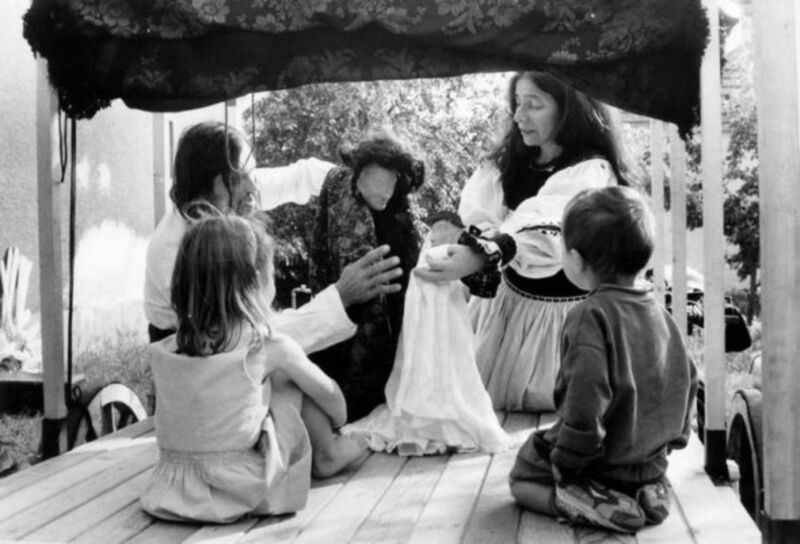 Theater in Hungary - A puppet production of "Fairy Ilona"
Stranger things have happened. All my life people have had a fascination with my name, Ilona. They also misspell it, mispronounce it, and generally must be reminded several times before they remember it ( which I never mind, and consider perfectly normal). I've had a fascination with the name myself, and a few years back started an investigation of discovery on the name "Ilona". Learn to pronounce it correctly. Ilona is " `Ee-loh-ne ", the I is not a long I as in English. I wrote about it when noting what I found about words in the language group of the Ugric/Finno, The Name Ilona. An old name book which I had long since lost track of, cited the meaning of the name "Ilona" as "Beautiful spinner". I wanted to follow that rabbit trail and it led me to seeking out why that old name book made a connection with beauty and the occupation of spinner. In reading old fairy tales, there are many that tell of fairies that will spin for the lady of the house, often in exchange for something. Getting rid of spinning fairies can be tricky it is said, and the connection is there in many fairytales of different cultures. The stories pulled me in further. Ilona - spinner -fairy... the threads were starting to create the cord I was to follow. Tündér-Ilona arrives on the scene. The word "Tündér" is sort of a fairy person, and there are stories about a queen of the "nymphs", the beautiful "Tündér-Ilona". 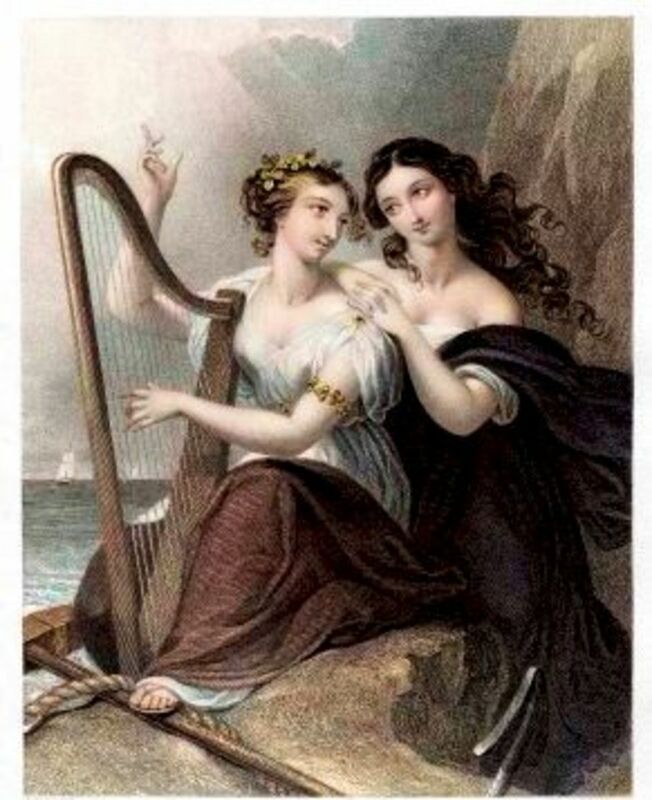 Nymphs were often associated with heaven, mountains, and wet places. They are something of a minor nature deity in pagan religions. "One of the main features that distinguish the early Hungarians from the other Eurasians and primarily from the Finnic peoples (with whom many scholars have always tried to find a common root) is their ancestral belief. The chroniclers were not able to mention names of Hun deities, simply because there were [none]. Notwithstanding, they recognized that the Huns/Magyars indeed had a Divinity whom they worshiped, who was never represented with images and whose name was not revealed. They called Him "Creator of universe", "Lord of all", "Almighty God" and titles like these. The Gesta Hungarorum states: "Árpád asked the grace of the Almighty God, to give them that land forever". From these and other records it appears evident that they were monotheist since old, before they had contact with Christianity". And yet Hungarians had folk tales of fairy beings of many sorts, the tündér being the more benevolent of them. In some of the stories spinning is one of the things that a benevolent fairy or elf might do. The name "Ilona" is a remnant of those beliefs and stories. Today it is equated with the name "Helen", the name from a western, very different, language group. Spinning was an important occupational skill for women and many fairy tales have elements of spinning along with fairy activity in them. Sleeping Beauty was wounded by her spindle before she fell into the enchanted sleep. It is no surprise that a fairy name should be connected with the art of spinning. Folktales and fairytales often express common ideas or concerns of people in an entertaining form. The Hungarian ones will have the plot form that we know so well in movies: boy ( usually a prince) finds girl (often a fairy princess) boy loses girl, but in the end they reunite, while the impostor or the villain who tried to divide them gets just desserts. There is usually an old woman who makes trouble somewhere in the story, or an unworthy rival. 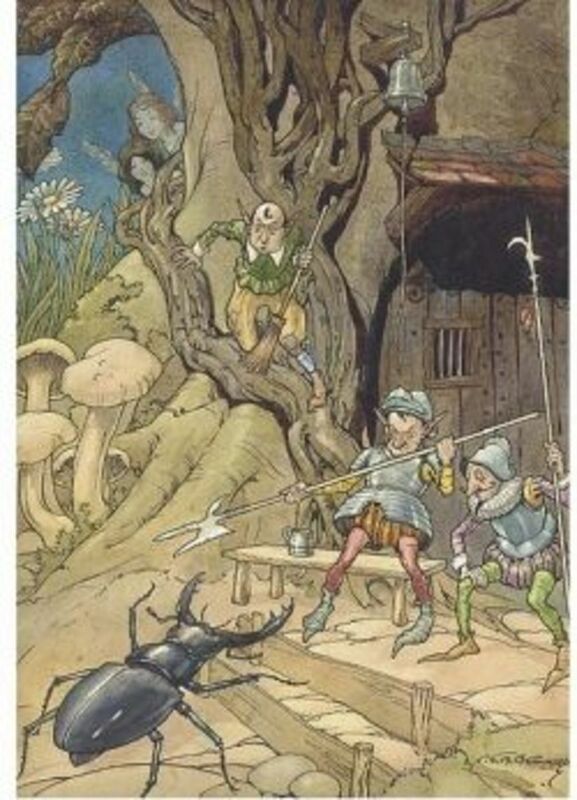 In Hungarian tales it seems that you get three chances, so there is a little suspense until the hero gets it right, and provides properly for his fairy princess (the first two potential mates "get away"). Animals, including bats, make appearances in many of the tales. Young girls are admonished to make good use of themselves with housekeeping abilities, and to forgo such traits as vanity, selfishness, and pride. The humble, and beautiful ones like Cinderella are the ones that get the prince. Levegõ Tündérke is the Air Fairy, a little goddess, daughter of the King Sun.. Her brother was Napkirály; a story tells about Napkirály searching for a wife. He finds Tündér Ilona (Fairy Helen) on the seashore, and falls in love with her at first sight. But Tündér Ilona does not love him, and jumps into the river during the wedding ceremony - then she becomes the Moon, always running from the Sun, only can be seen when the Sun is on the other side of the Earth. " "Fairy Ilona is not simply a character from a fairy tale. 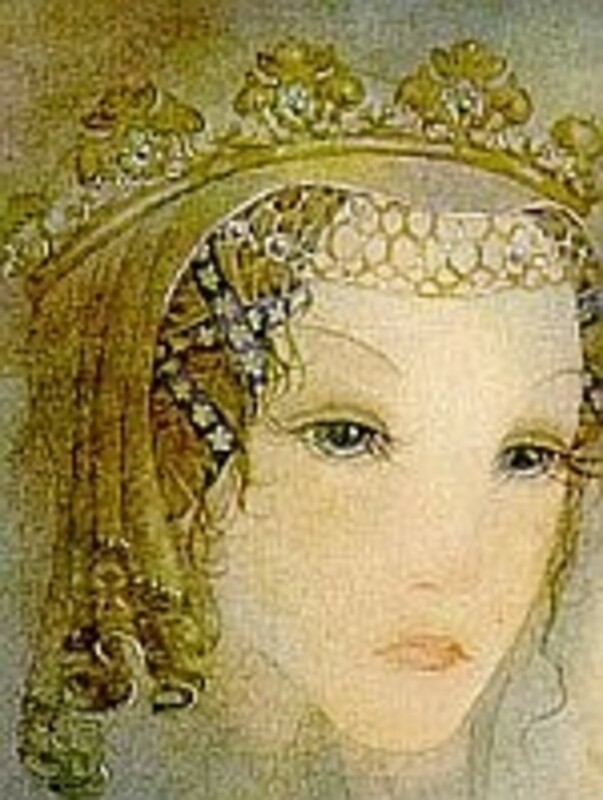 Géza Róheim, in Hungarian and Vogul Mythology, identifies her as "the Hungarian version of the fairy queen of European folktale," who lived in Csallóköz. There, she swam in the Danube in the shape of a swan... the word tündér, he tells us, is not exactly equivalent to the English "fairy"; rather, it seems to refer to a female supernatural being who is capable of appearing and disappearing, or making things appear and disappear, and is associated with fate itself. In Transylvania, ... the Milky Way is called "the Fairy's Way"
"Fairy is also a popular woman's name, Tündér or its diminutive, Tündé. 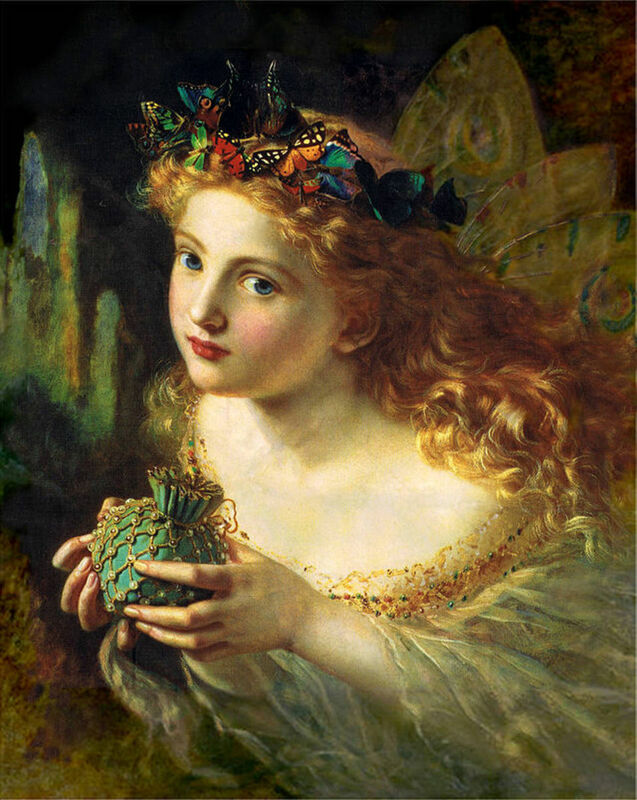 Fairies are particularly associated with two areas: Transylvania, now part of Romania, and Csallóköz, now part of Slovakia, which were traditionally identified as the "Hungarian Fairyland." 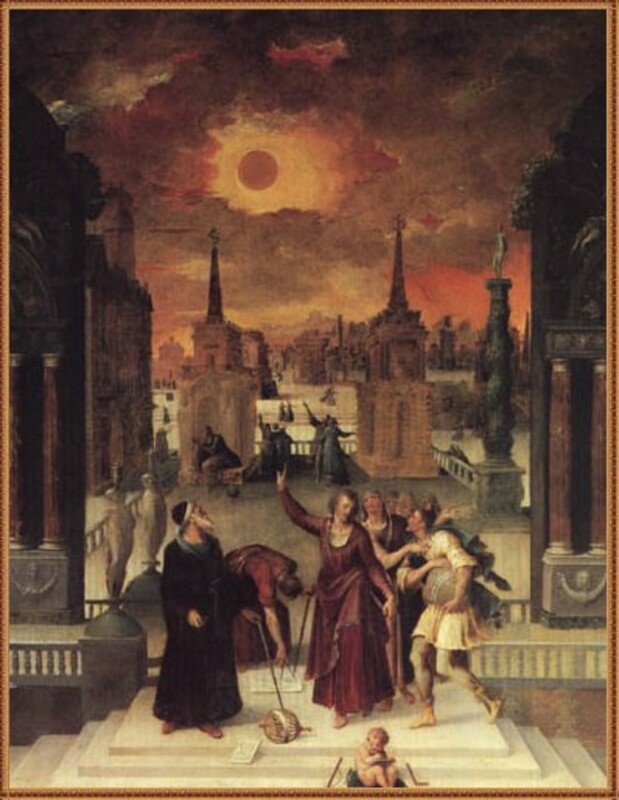 It is interesting to note that although Transylvania is associated in the Western European imagination with vampires, in Hungarian folk belief it was inhabited by fairies." Of course it could be either gender, but there was an old idea that a beautiful woman had something of the spirit world that explained her unusual attractiveness. 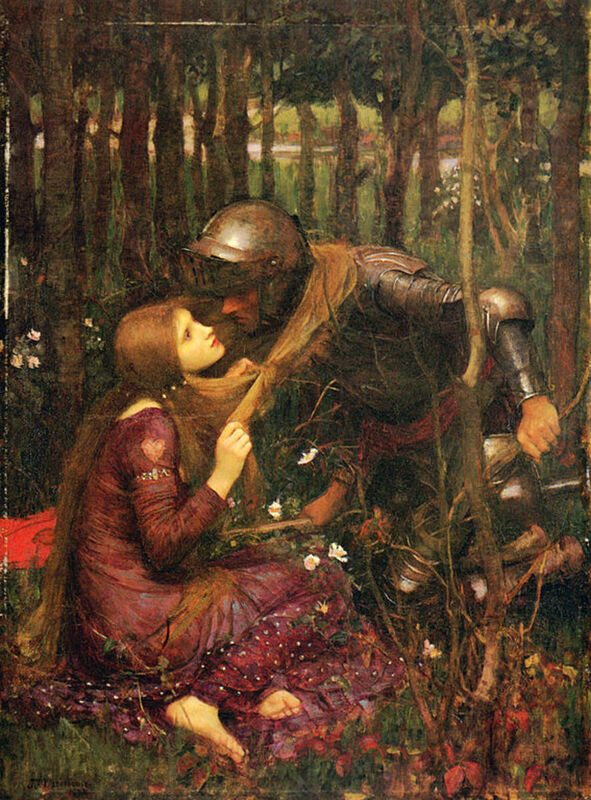 Many of the old fairy tales combine the power of attraction with something not altogether human to explain it. 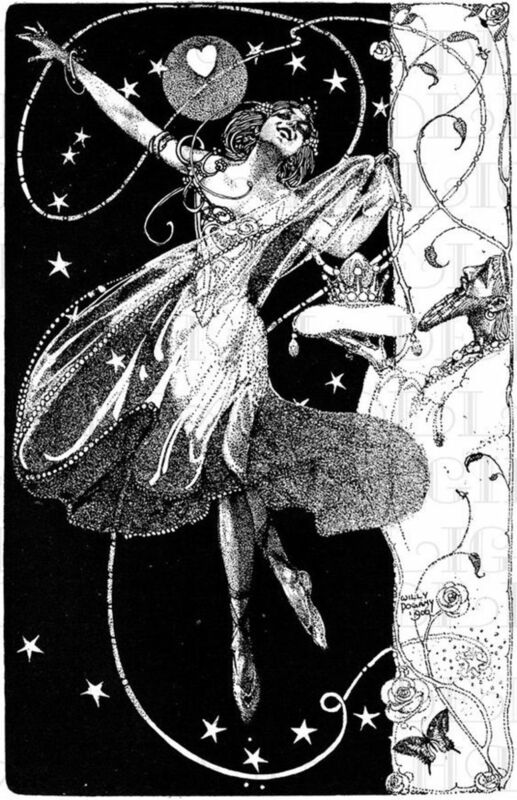 Old English words, such as ælfsciene ("elf-beautiful"), were used of seductively beautiful women, and that is how the Hungarian fairy appears in tales of Tündér Ilona. The women of great beauty were often described as these semi-divine beings in old folk tales. 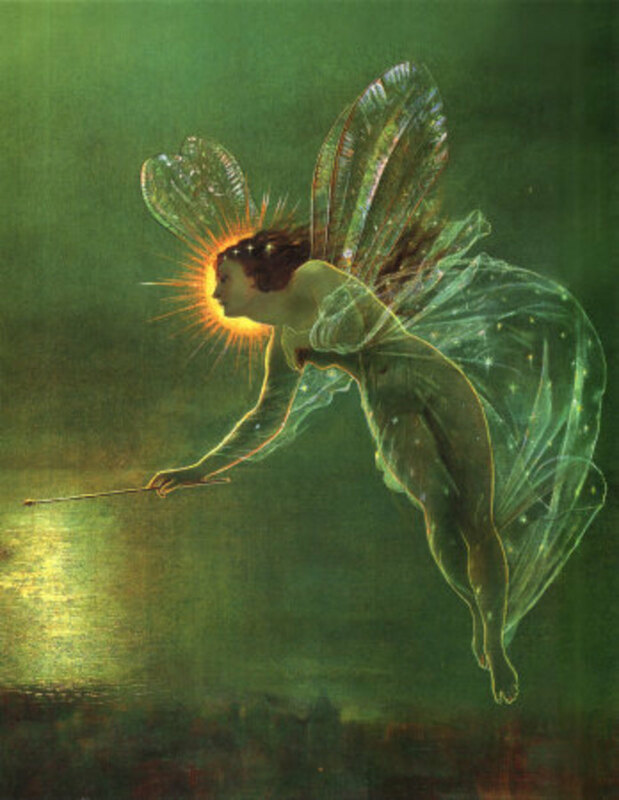 There is a lot to learn about fairies, ideas about them have been around for a very long time. Artists in the decorative arts especially seem to draw these beings in both attractive and sometimes repellent ways...reflecting the stories themselves. 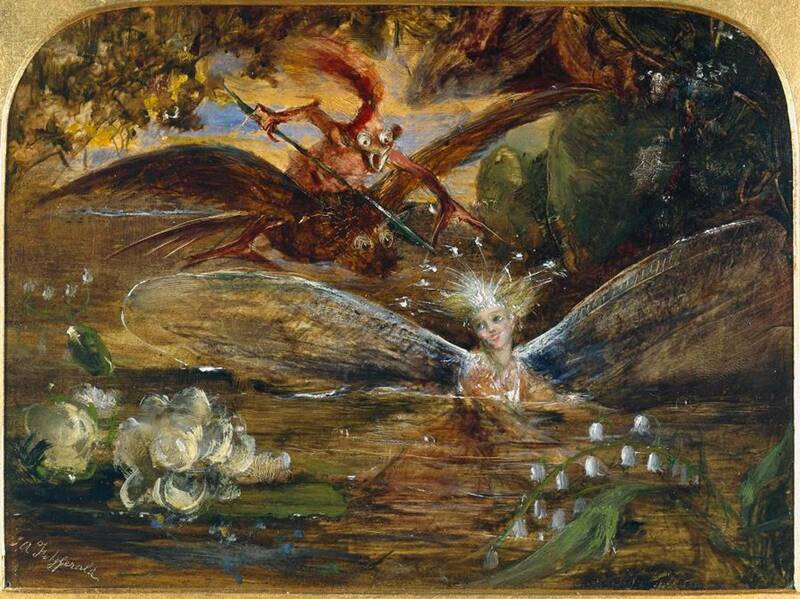 Most of the modern idea of fairies comes from Victorian painters and stories. Small winged pixies of a benign nature. Victorians were fascinated by this entire genre and many well known artists gave their talents in rendering the world of the fae and fantasy. Collect these postcards and use them in crafts or for sending special notes. Making Fairy Houses is a very popular pastime. View a video on the making of a fairy house, or use a book to inspire your imagination. Why are we still creating fairytales and fairy habitations? 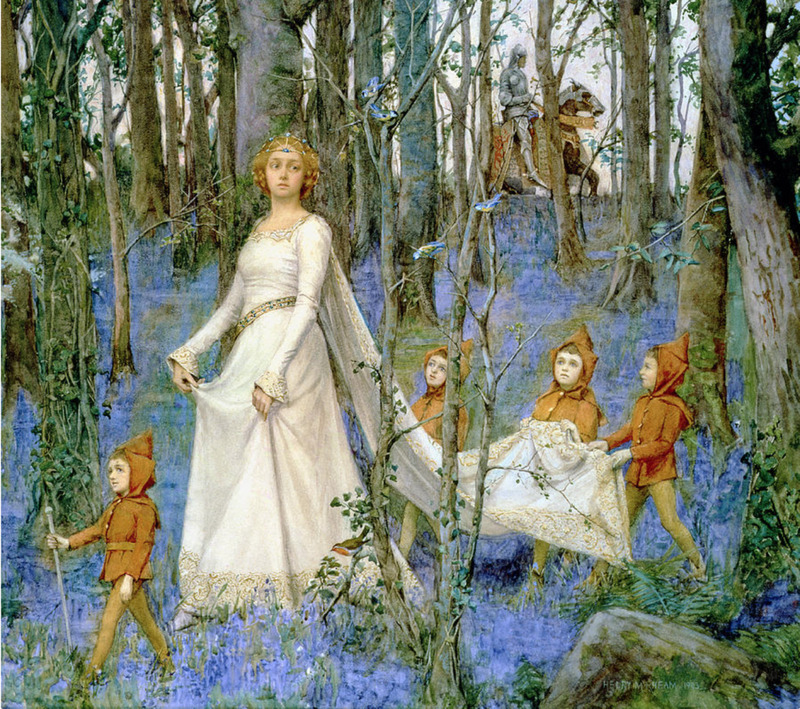 Our present view of fairies is very different from the traditional stories, the romantic English Victorians ensured that with their books and artworks. Perhaps the rise of Science made them feel more powerful in face of the elements and ideas of fate. 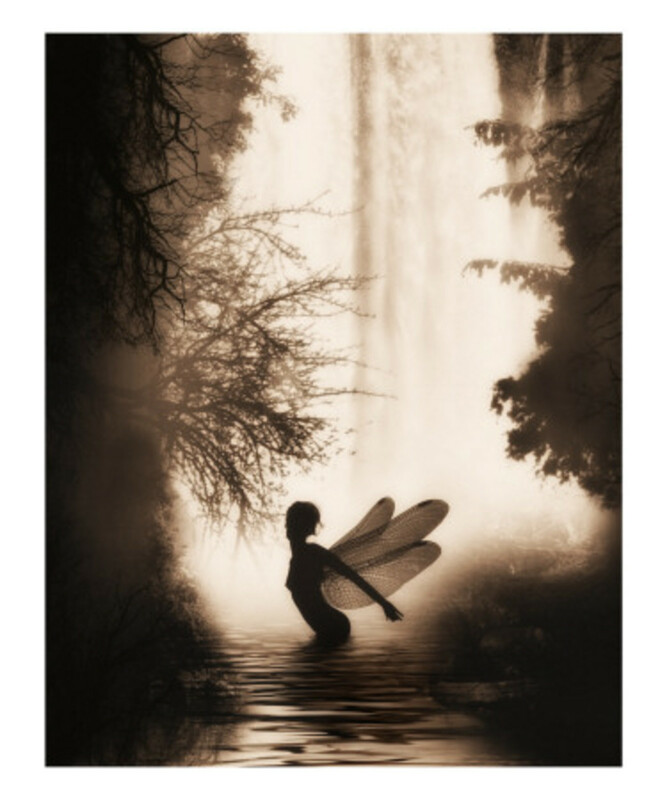 Perhaps their Christianity made ideas of the fairies more a fantasy child's story, than powerful beings who had influence in their daily lives. Or perhaps peoples changing view of women, as more capable and equal displaced the need to relegate their sexuality and reproductive power to a magical realm? The jury remains out on why we still are entranced, but not anymore entangled in the tales of fairyworlds. How to Attract Fairies to your Garden | Bring Fairies into your Backyard! This was so interesting. In Finland "Ilona" is also very common woman´s name. I´v been looking some deep insights into Hungarian folklore I´m so glad I found your articles. I was in exchange in Budapest when I was younger. I love the Hungarian fairy tales. They have fairies, dragons, animal shapeshifting. When I´ve compared Finnish and Hungarian myths there is a connection but it is very early one. Going back to thousands of years when the ancestors of Hungarians wandered from the Ural to what is now known as Hungary. Some of the shared motifs in all Uralic myths are the world tree, power of the shamans and cosmic world separated into three layers. These were all familiar concepts to me from Finnish mythology. I was mind blown when I also found them from Hungarian myths. I actually named my daughter Ilonka. 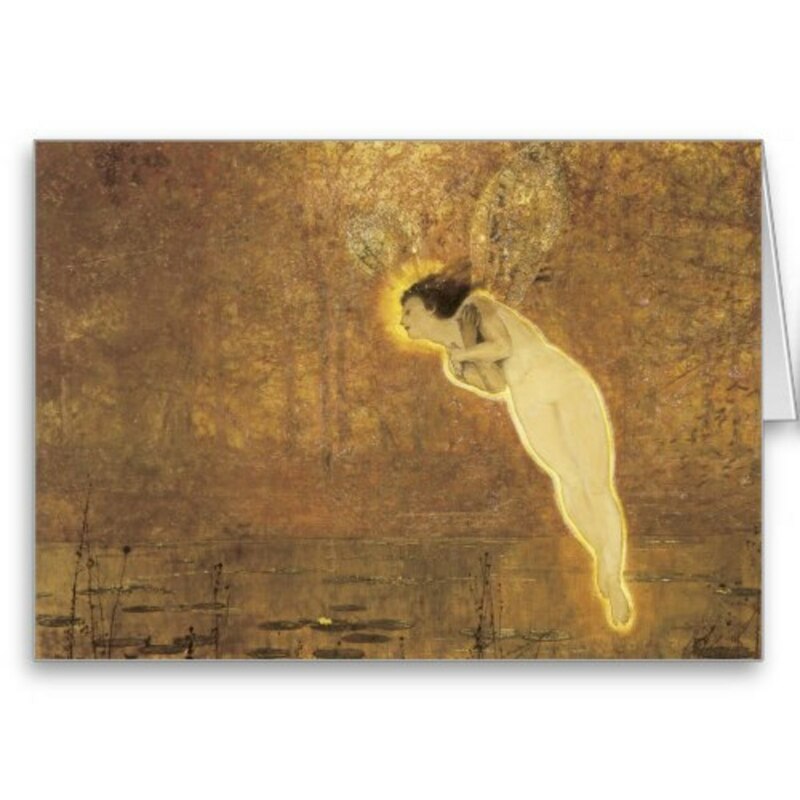 @siobhanryan: Thank you so much- I love fairy art and think fairy costumes are delightful, too. I love fairies!! :) You have a beautiful name! Very sweet beings, those fairies...thanks! @ICanCook: I've always felt they held insights into something of the human condition that ancient societies wanted to tell us. Fairies are fascinating. Thanks for letting us into their world. @TheKids LM: Welcome Kreg :) you are right- and it add a good dimension.